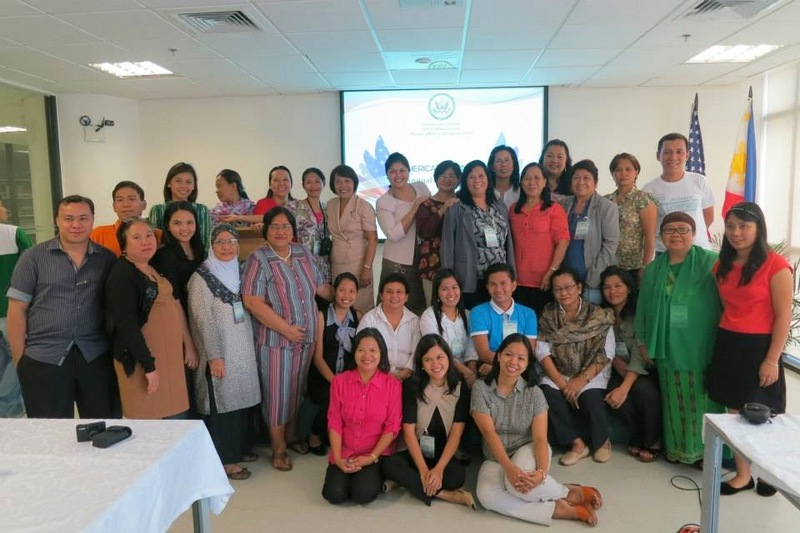 Once again the American Corners’ network in the Philippines gathered for their three-day annual conference that was held in Manila last June 19-21, 2013 at the following venues: the recently renovated Thomas Jefferson Information Center of the U.S Embassy Manila; the De La Salle University’s newly-built eco-friendly Learning Commons; and, the seaside Microtel Inn & Suites by Wyndham Manila, respectively. This year’s theme was “American Corner Standards: Keeping abreast with technological advances”. The conference served as a venue to enhance the participants’ knowledge and skills as well as to gain updates, outlooks and recent developments in the global network of American Corners. The highlights of the last academic years’ best practices of the ACs were also presented. The American Corner Manila Director, Ms. Ana Maria B. Fresnido and the Associate American Corner Librarian, Ms. Donna Lyn G. Labangon were the participants of this conference. On the first day, the delegates were welcomed by the new Cultural Affairs Officer, Alan R. Holst. Likewise, the new IRC Deputy Director, Princess Grace C. Wooden gave her warm greetings and facilitated the introduction of participants. Honored and privileged, the delegates were given an inspirational message by the U.S Ambassador to the Philippines Harry K. Thomas, Jr. who commends the work done by all the American Corners in the Philippines. The Assistant Cultural Affairs Officer, Elizabeth Meza, greatly encouraged the group to reach out to the differently abled audience while sharing stories of how these kinds of programming can lead to transformative effects. Subsequently, the Information Resource Officer, Myra Michele Brown discussed the new Standard Matrix for American Corners which spurred questions and discussion. She encouraged all the ACs to evaluate their Corners and to realign programs to the new standard. In conclusion, Ms. Brown assured the group of how strong and dynamic the Philippine networks of ACs were. The second day proved to be as meaningful as the first day, giving focus on the technological and social media tools. Social Media Specialist, Jay De Jesus, gave an overview of the current rate of the ACs social media platforms, citing the statistical rankings and reach. He also highlighted how important engagement is, hence he encouraged ACs to improve that aspect. Moreover, Billie Bautista, the Social Media Assistant, shared his expertise by presenting Basic iPad/Tablet Usage. He provided a list of apps that are helpful in promoting the social media platforms of the ACs. Furthermore, Visual Diplomacy Specialist, Harold Elvina, presented Photography and Basic Photo Editing to enhance the photo shots that represent each program that the AC does. Lastly, the new Reference Librarian, Randolf Mariano, presented the American e-resources and other helpful databases that can greatly help their researcher’s needs. The day ended with a tour of the DLSU Learning Commons which fascinated the delegates. On the last day of the conference, EducationUSA Advising was discussed by the PAEF Executive Director, Dr. Esmeralda Cunanan. She demonstrated a brief orientation of how they go about group advising and provided tips on how to address queries regarding EducationUSA Advising. Meanwhile, Pong Aureus, the Cultural Affairs Specialist strongly encouraged all the ACs to further amplify the marketing of their respective Corners as she discusses the importance of branding. A trip to the Korean Cultural Center gave the participants a concrete example of modern and vibrant library space design as well as great library services. The fellowship night capped off the conference which enabled the participants to relax and enjoy each other’s company. Candy May Nabaunag-Schijf is one of the newest additions to the DLSU Library’s pool of librarians. She is currently the Preschool Librarian assigned at the Science and Technology Complex Integrated School in Biñan, Laguna. Candy graduated from Saint Louis University (SLU) and earned a Bachelor’s Degree in Secondary Education, Major in Library Science (2002). Contrary to the “serious” stereotype that often dogs most librarians, Candy is quite a comedian when she is surrounded by family and close friends. She always has a few tricks up her sleeves and says the funniest things that make her more endearing to the people who know her well. But beyond the wisecracks is a strong, loving, and loyal person who never ceases to amaze people. Small though she may be, Candy is never daunted by heights or new experiences. She loves travel adventures, which often include climbing mountains, exploring caves, and bathing in waterfalls. “Adventure is out there!” is her favorite line. And she really means it. 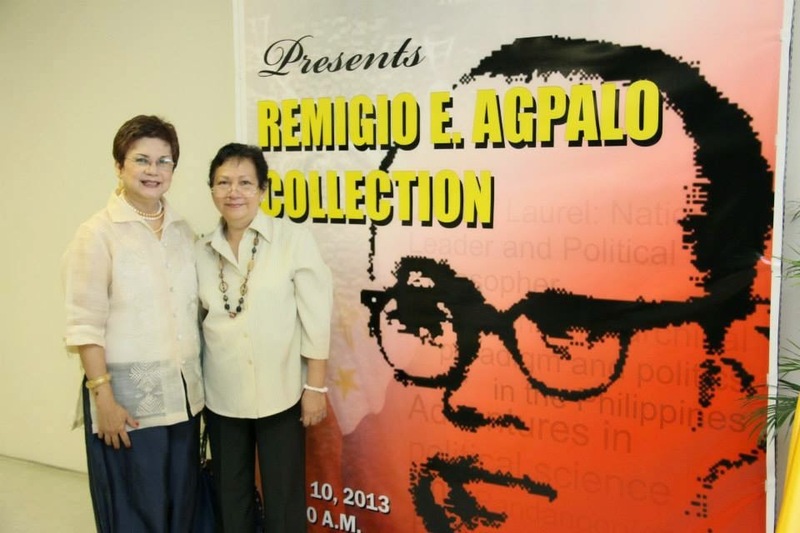 Dr. Remigio E. Agpalo’s invaluable collection has now found its perpetual home at the DLSU Library. The turnover ceremony was held last June 10, 2013, in time for his birth anniversary, at the 13th floor of Henry Sy, Sr. Hall. The occasion was well-attended by immediate family, relatives, friends and colleagues of Dr. Agpalo. In the short program, Ms. Christine Abrigo, Assistant Director for Operations, thanked the family of Dr. Agpalo for making the donation. Ms. Marita Valerio, one of the librarians who catalogued his books, provided a background on the composition of the collection. Afterwards, Ms. Christine Helen Perez-Eustaquio, the daughter of Dr. Agpalo, delivered the Remarks of Circumstance and shared some stories she has about her father. She also expressed her thanks because his father’s precious collection will be preserved at the DLSU Library. A former colleague of Dr. Agpalo and Dean of College of Liberal Arts, Dr. Julio Teehankee, also gave a message during the event. Dr. Teehankee was the one who convinced the family to donate Dr. Agpalo’s collection to the Library. The Learning Commons, in its objective to be the University's center for dynamic and collaborative learning and research, has 48 discussion rooms available for the use of the Academic Community in support for social and active learning strategies. A typical discussion room is furnished with a whiteboard and several electrical and network outlets for mobile computing devices. To provide a convenient automated system for advanced requests for the rooms, an online booking facility is now made available to all bona fide students, faculty and staff of the University. Online reservation of the rooms will be accommodated starting 10 June 2013. 1. Visit http://libcal.dlsu.edu.ph and look for the "Room Bookings" box found on the right side of the page listing down designated floors where bookable discussion rooms are located. 2. Click the desired floor area to get to the page where you can view availability of the rooms. The page will display the list of discussion rooms on the selected floor and the respective time slots (cells colored green mean that the slots are still available) that they may be booked. The calendar on the left side allows viewing of the rooms' availability for the current day up to the next day. 3. Click on the desired time slot/s then click "Continue" (found on the lower part of the page). 4. Fill out the form completely then click "Submit my Booking". 5. A confirmation link will be sent to the DLSU email address provided on the form. Open email with the subject "[LibCal] Please confirm your booking!" and click on the confirmation link. Wait for the page asking for confirmation to load then click "Yes" to complete the reservation process. Please note that users must confirm reservation within an hour. Unconfirmed reservations will be automatically cancelled. Guidelines on the use of the discussion rooms may be viewed at http://libcal.dlsu.edu.ph/. The Library is pleased to announce to the Academic Community that trial access to all available databases of Gale NewsVault is now available until 30 June 2013. With Gale NewsVault, the students, researchers, and faculty of all levels can simultaneously search or browse across multiple historical national and regional newspaper and periodical archive collections owned by their institution. The articles you can search are displayed as digitized page images just as they originally appeared in print. All articles allow full-text searching. You can also read the newspapers and magazines cover-to-cover in full screen, or--using an advanced image viewer--save, print, highlight, bookmark, grab, pan, zoom, and crop content and images. To access the database in and off campus, please visit the Library's homepage at http://www.dlsu.edu.ph/library/. Your feedback/recommendations/comments will truly be helpful in deciding whether or not the Library shall subscribe to Gale NewsVault. 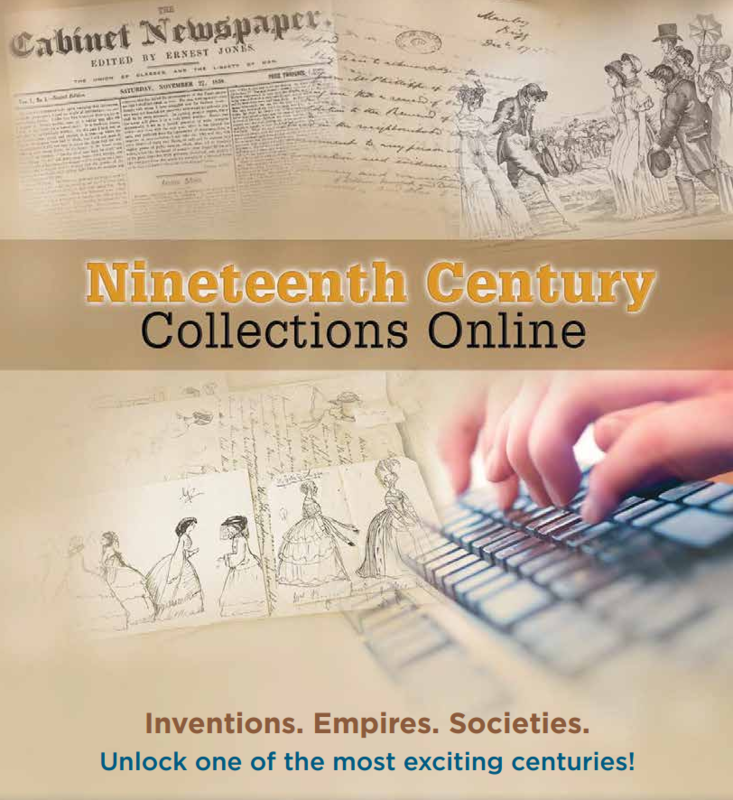 The Library is pleased to announce to the Academic Community that trial access to all modules of Nineteenth Century Collections Online (NCCO) is now available until 30 June 2013. NCCO is the most ambitious scholarly digitization and publication program ever undertaken. It is invaluable to research and teaching in one of the most studied historical periods. Rare primary sources, curated by an international team of experts, provide never-before-possible access to important works sourced from leading libraries worldwide. Users will find millions of full-text, fully searchable pages that enhance historical scholarship and provide an intriguing window into a bygone era. Your feedback/recommendations/comments will truly be helpful in deciding whether or not the Library shall subscribe to NCCO.